With Halloween just around the corner, it’s time to start creating more fun homeschool lessons using great themed printables. 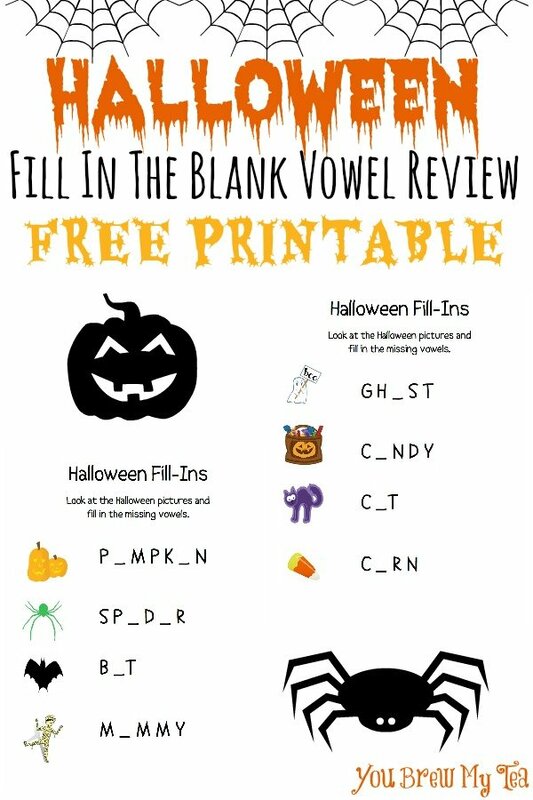 We love this Halloween Fill In The Blank Vowel Review FREE Printable. Not only is it fun, but it has great vocabulary words for your kids that are based on the holiday. First and second graders can always use a bit of review with vowels, and this is a great option for them. While the Wee Child would have this done in just a minute or two, we still print and use pages like this for simple review and practice time. It’s also great for learning the spelling of new vocabulary words suited for his second grade curriculum. As you work with your kids on recognizing vowels, it helps tremendously to use words that are familiar to them. This list of words is great because it will be something they already recognize and enjoy. There is nothing like the thought of candy, cotton candy, halloween and pumpkins to get kids excited about learning. Incorporate these pages into your English or Language Arts classes. Not only are they great for review, they are fun for kids to do. Create a fun weekly spelling list based on these words along with a few other great options for the holiday theme. 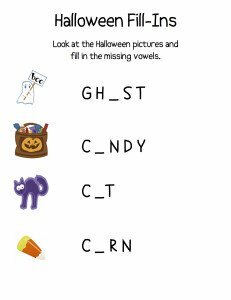 Do review, practice with writing skills and spelling all to make for a fun and easy Halloween Vowel Review Curriculum! 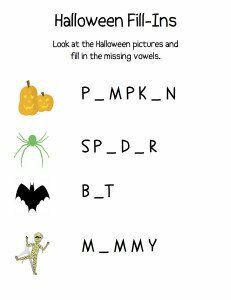 Use these pages along with some of our other favorite Halloween and vowel review curriculum! We love the following books and tips for great review and practice!